1 A group of folk dancers rehearse prior to the arrival of Pope Francis at the military airport in Krakow, Poland. Pope Francis is in Poland to meet young Catholics from around the globe and visit the Auschwitz death camp and many Catholic places in this deeply religious nation. 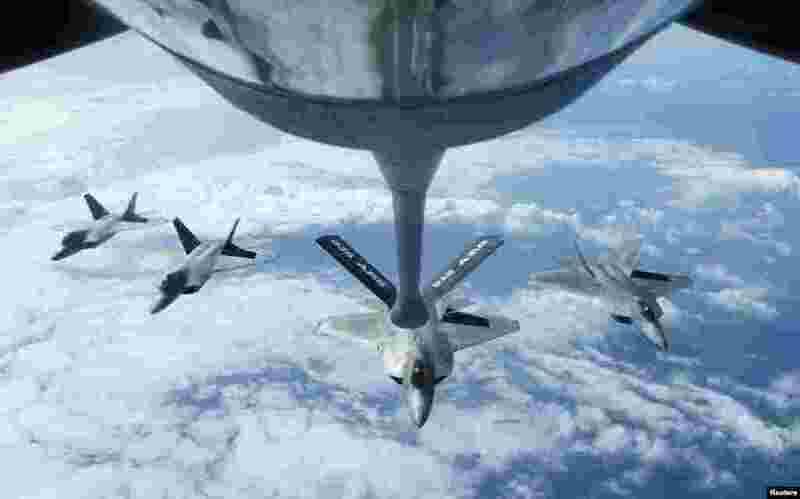 2 Four F22 Raptors fly in formation after a mid-air refueling exercise with a KC-135R Stratotanker as they participate in the multi-national military exercise RIMPAC in Honolulu, Hawaii, July 26, 2016. 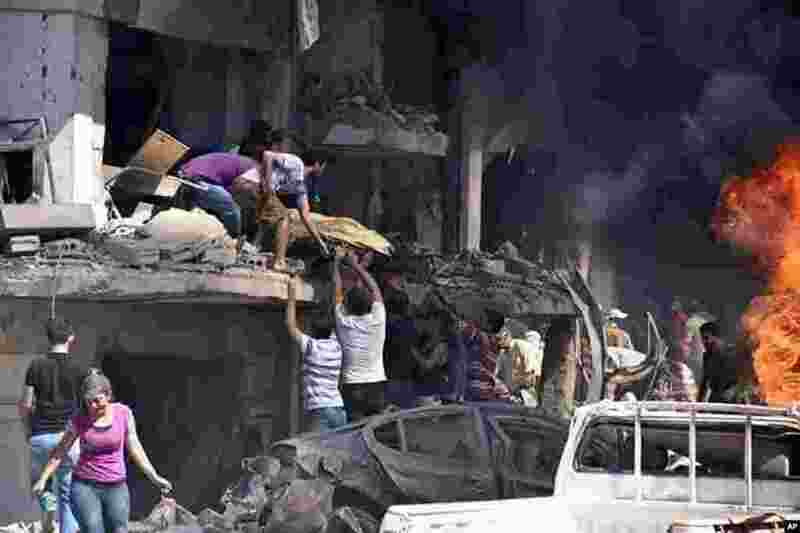 3 In this photo released by the Syrian official news agency SANA, Syrians carry the body of a victim from a building damaged in twin bombings struck Kurdish town of Qamishli, killing 44 people and wounding dozens more. 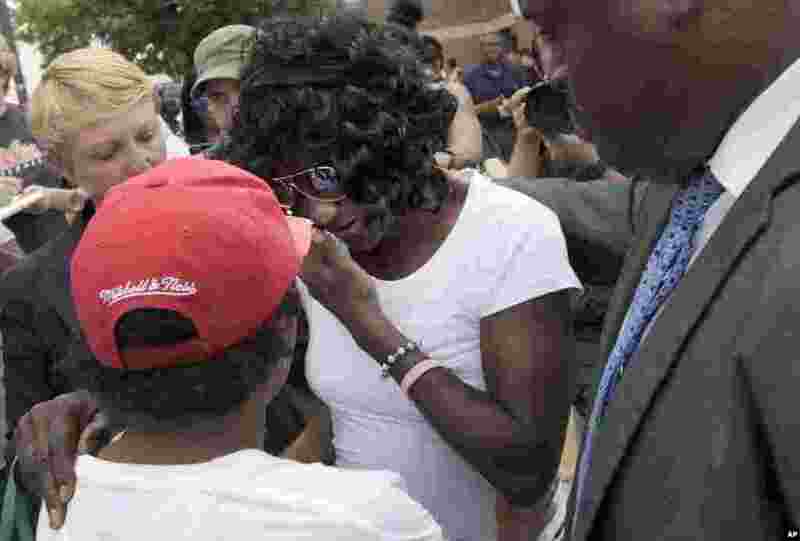 4 Gloria Darden, center, the mother of Freddie Gray, wipes away tears at a news conference held by Baltimore State's Attorney Marilyn Mosby after prosecutors dropped remaining charges against the three Baltimore police officers who were awaiting trial in her son’s death, in Baltimore, Maryland. The decision by prosecutors comes after a judge had already acquitted three of the six officers charged in the case.